If you're shopping for a diamond or gemstone you've undoubtedly seen many of the most popular shapes, but do you know why some shapes cost more? Their weaknesses and strengths? Who came up with the idea to cut it a certain way, and why? Read Below. The “Round Brilliant Cut” Diamond Shape, also referred to as an “Ideal Cut” diamond, is a Round Cut Diamond that is cut with absolute mathematical precision, designed to give it maximum sparkle (Fire & Brilliance). It is the standard by which all other diamond shapes are compared to. Round cut diamonds are the most popular diamond shape found in your typical accent diamond ring to your more unique engagement rings. 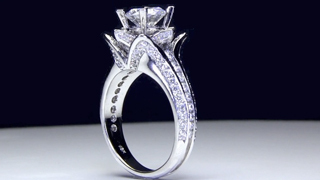 They are the preferred diamond shape for diamond solitaire rings. 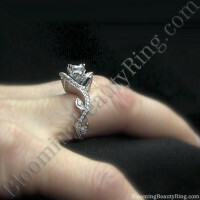 They are also used frequently in Anniversary Rings, or as accent stones. Round Cut Diamonds are usually more expensive, because more of the rough diamond weight is lost during the cutting process. 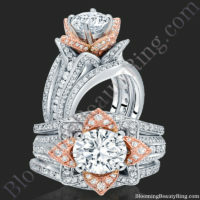 Round Cut Diamonds that are cut to “Ideal Cut” standards are rare in the market and much more expensive. The Round Cut diamond shape typically has 58 facets. (including the culet) On the Crown of the diamond (upper section) there are 8 bezel facets, 1 table facet, 8 star facets, and 16 upper girdle facets. On the pavilion of the diamond (lower section) there are 16 lower girdle facets, 8 pavilion main facets, and 1 culet. 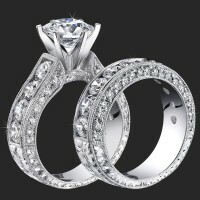 Learn more about diamond cuts. It is believed that todays Round Brilliant Cut Diamond shape is a direct ancestor of The “Old European Cut” Diamond Shape. The shape of an Emerald Cut Diamond is rectangular with “Cut” corners. It is known as a step cut versus a brilliant cut. As You may have guessed by it’s name, the Emerald Cut was originally developed for cutting Emeralds. Even though Emeralds are a relatively hard gemstone, (7.5 to 8.0 on the MOHS Scale of hardness)they are especially prone to inclusions. (Inclusions are internal flaws that occur naturally in gemstones) These inclusions make Emeralds difficult to cut and prone to breaking. The “Emerald cutting process” reduces the risk. Soon it was discovered that using this process would work with diamonds too. Typically, an emerald shape diamond has 57 facets. 25 facets are on the crown, 8 facets on the girdle, and 24 facets on the pavilion. The facets of an Emerald cut diamond are broad with flat planes resembling the steps of of a staircase. The Emerald cut diamond is not as popular as it used to be, but it is a very classic and elegant diamond shape. It tends to be less fiery than other diamond shapes, however the flashes of light can be broader and more dramatic. If you are considering purchasing an emerald cut diamond, It is usually recommended to purchase the highest grade you can afford. (Usually no lower than VS clarity and G color) This is because the emerald cut diamond is very transparent. It has A “Glassy” look to it. Clarity flaws, low color, or poor cut, will be easier to see by the naked eye than it would be with other diamond shapes. The good news is, emerald cut diamonds can cost less than other diamond shapes of comparable size and quality. 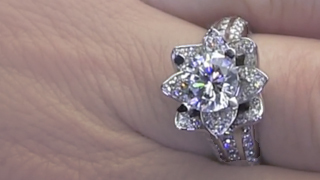 So you can usually offset some of the cost of a higher clarity and color grade and get a bigger diamond. A famous emerald shaped diamond is “The Jonker”. This diamond was found by Johannes Jacobus Jonker and it weighs in at 125.33 carats! The Radiant Cut Diamond Shape is basically a combination of the traditional emerald cut shape with a brilliant cut. What you end up with when you combine these two cutting styles, is essentially a “Brilliantized Step Cut” diamond shape. A radiant shaped diamond is a good possible choice for people who are attracted to the classic elegance of the emerald cut diamond, but would like a more brilliant sparkle. The depth percentages are generally deeper in this type of diamond shape, due to the way it is designed, in order to achieve the maximum amount of light refraction. 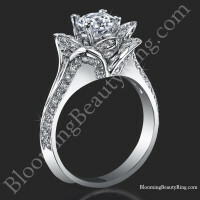 A radiant shaped diamond will look appealing in just about any type of diamond ring setting. Classic solitaire diamond rings, or paired with side stones such as trillion cut diamonds, baguettes, or even princess shaped side stones are common. 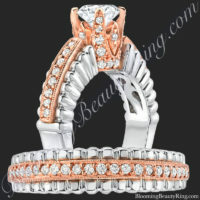 The setting for a radiant cut diamond ring should be set with special prongs to hold the cut corners securely. The Radiant Cut Diamond is my personal favorite. 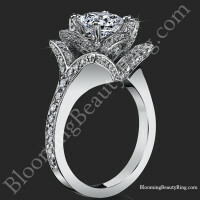 It has maximum amounts of brilliance and sparkle, but without the fragile pointed corners of the Princess Cut Diamond. 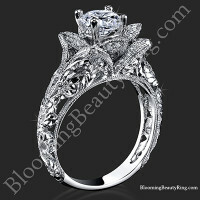 Quite literally unsurpassed in classical diamond beauty. The Princess Cut Diamond was developed by Basil Watermeyer from Johannesburg in 1963. A similar predecessor to the princess cut diamond was The Barion Cut Diamond. Today The Princess Cut Diamond is quickly increasing in popularity for engagement rings. One reason is because the Princess Cut Diamond can offer almost as much brilliance and fire as a nicely cut round shaped diamond. It was designed for it. The Princess Cut Diamond is also very good at hiding imperfections because of the way it is cut. You could consider it the best of both worlds. The Princess Cut is very popular for just about any type of diamond ring including solitaire diamond rings. The Princess Cut Diamond also works very well as accents. A very popular engagement ring in jewelry stores today consists of a princess cut diamond with baguettes. 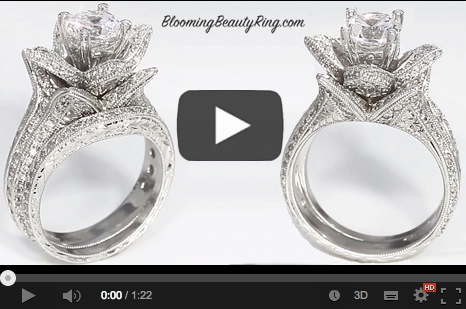 It tends to be more visually appealing than a round cut diamond with baguettes. 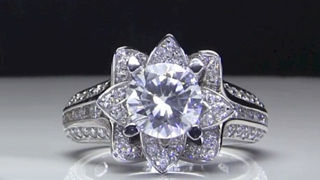 It can also be a good choice if you would like a more unique engagement ring than your more common tiffany style, round engagement ring. Princess Cut Diamonds are typically square in shape, but can be rectangular too. Deep stones generally work better with the princess cut diamond. Due to the fact that Princess cut diamonds are very fiery and brilliant, as well as hiding inclusions very well, lower color and clarity grades will look better than most other diamond shapes. The Oval Cut Diamond is an elongated relative of the round cut diamond. It has 55-56 Facets. 33 on the crown of the diamond and 22 on the pavilion of the diamond. A good length to width ratio is 1.5 To 1. This ratio will look very good mounted in a setting. 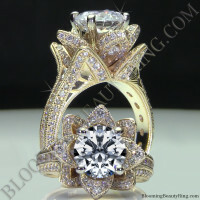 Although the oval shaped diamond is not as popular as the round cut diamond, it is still a very flexible diamond shape. 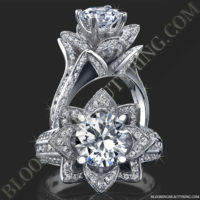 It will look good in a Traditional solitaire setting or with accent stones such as baguettes. An Oval shape diamond tends to look bigger than other diamonds of equal carat weight. An Oval Shaped Diamond can also give a flattering illusion of length to shorter fingers. 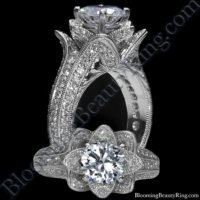 The Oval shaped brilliant diamond was created by Lazare Kaplan in the early 1960’s. A very famous Oval shaped diamond is the “Koh-I-Noor” also known as “Mountain Of Light”. This diamond was found in India. (as almost all of the worlds’ diamonds were until the 19th century) This famous diamond is rumored to bring bad luck to all men who posses it and good luck to all women who posses it. When it was discovered it weighed 186 1/16th carats. The diamond was given to Queen Victoria in 1851. After believing that the diamond did not exude enough brilliance, Queen Victoria had it Re-Cut under the supervision of Prince Albert. 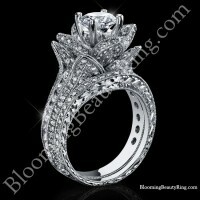 The additional cutting shaved off 42% of the diamonds weight and left it weighing 105.602 carats. After the re-cutting, it was decided that the diamond was still lacking in brilliance and The Koh-I-Noor was mounted in a tiara with more than 2,000 other diamonds. The Marquise Cut Diamond shape is a regal, elongated shape with tapering points at both ends. Typical Marquise Cut Diamonds have 55 facets. 33 Facets are on the crown of the diamond and 22 facets are on the pavilion of the diamond. The Marquise Cut is rumored to be named after an influential patronage of the arts and literature in the 17th century, named Marquis Of Pompadour. The recommended ratio of a Marquise diamond is typically 2 to 1.0. This means that the length is about 2 times longer than it’s width. However as with most recommended ratios, personal preference is always the most important. If you prefer to buy a marquise cut diamond with a shorter and wider ratio, or a longer and thinner ratio, by all means do it. Just pay attention to the diamonds symmetry. Typically a good symmetry means a brighter, more beautiful diamond. 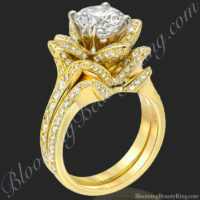 A Marquise Cut Diamond will look good as a solitaire diamond ring. 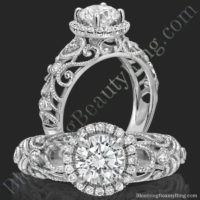 It will also look good in a diamond ring with accent diamonds. Some common accent diamonds used for Marquise Cut Diamond Engagement Rings are Baguette Diamonds as well as Trillion Cut Diamonds. 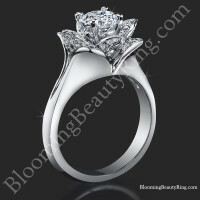 A 6 prong setting should be used for a Marquise cut diamond. 4 prongs positioned on the side to hold the body of the diamond, and a “V” shaped prong on each end of the diamond. 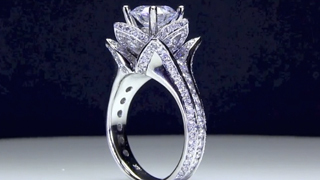 The “V” shaped prongs on the ends will help protect the pointed ends of the Marquise Diamond. These ends are the most vulnerable part of the Marquise Diamond Shape. The Pear Shaped Diamond is a very beautiful and unique diamond shape that is rounded on one end, and has a tapering point at the other. It resembles a tear drop. Typically the Pear Shaped Diamond looks best as a Center Diamond. Side Stones are also used with a pear shaped diamond. Baguette Diamonds are very common as accent diamonds. Although the pear shaped diamond looks good with accent diamonds, it is usually not used as an accent diamond itself. Pear Shaped Diamonds are also commonly used and look very good in Drop Earrings. 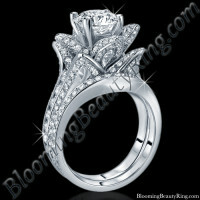 The typical recommended ratio is 1.5 to 1.0. and the Pear shaped diamond has 56 facets. Good symmetry is very important with a pear shaped diamond to ensure that light is reflected evenly, especially in the point of the diamond. A special setting usually accompanies a Pear Shaped Diamond. The setting will usually consist of 5 prongs. 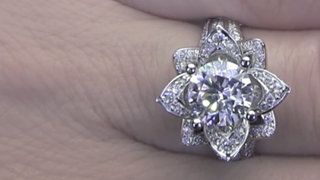 2 prongs will hold the rounded end of the diamond, 2 will hold the curved sides of the diamond, and 1 prong will be “V” shaped to hold and protect the pointed end. A very famous Pear Shaped Diamond is known as “The Star Of South Africa”. It is 47.69 carats and is credited with turning the tides of fortune in South Africa. The Star Of South Africa was found by a Griqua shepard boy in 1869. Legend has it that an individual by the name of Schalk van Niekerk purchased the diamond from the shepard boy for 500 sheep, 10 oxen, and a horse. Although this was almost all of Niekerk’s possessions, a few days later he sold the rough diamond for $56,000!! The Heart Shaped Diamond can actually be a more popular choice of men than women. 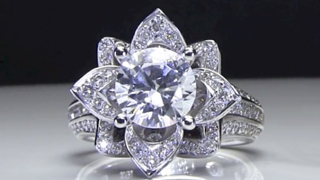 It is considered to be a very romantic diamond shape. It is similar to the Pear shaped diamond, however it has a cleft in the rounded end of the diamond that creates the form of the heart shaped lobes. The setting for a heart shaped diamond is also similar to a pear shaped diamond. It should consist of 5 prongs. 2 prongs should be placed on the lobes of the heart shape, 2 prongs should be placed on the sides of the diamond, and 1 “V” shaped prong should be placed at the point of the heart shaped diamond. This will help protect the point which is considered to be the most vulnerable part of the diamond. A very famous heart shaped diamond is the “Blue Heart Diamond”. It is an extremely rare deep blue color and weighs 30.82 metric carats. This diamond has also been referred to as the “Eugenie Blue”. The French Diamond Cutting firm of Atanik Ekyanan of Neuilly, Paris cut the heart shape in 1909 to 1910. The date raises the question of whether the diamond came from Africa or India. In 1959 Harry Winston Bought the diamond, and sold it five years later to Marjorie Merriweather Post. Mrs. Post donated the diamond to the Smithsonian Institute, where it still resides today. Learning about diamond shapes can be interesting, but do you know whether or not you should actually wear your favorite diamond? Take a look at our “Choose the Right Shape Diamond for your Finger” article, and see what our many years of experience has taught us.